Refinishing a basement is an excellent opportunity to expand your living space, and in many cases, increase the resale value of your home. But because basements are often the repositories of the central mechanics of your home’s heating, ventilation and cooling equipment, as well as the favored place for laundry facilities, planning the layout of a functional and attractive basement can be tricky. Your floor plan must produce useful space without feeling cramped and “bunker” like. If a complete “gut” remodeling of the basement is within your budget, by all means make the effort to move the HVAC and laundry equipment to one corner of the basement away from the basement stairs entrance. Having to work around HVAC and laundry areas usually means narrow rooms that will limit activities. 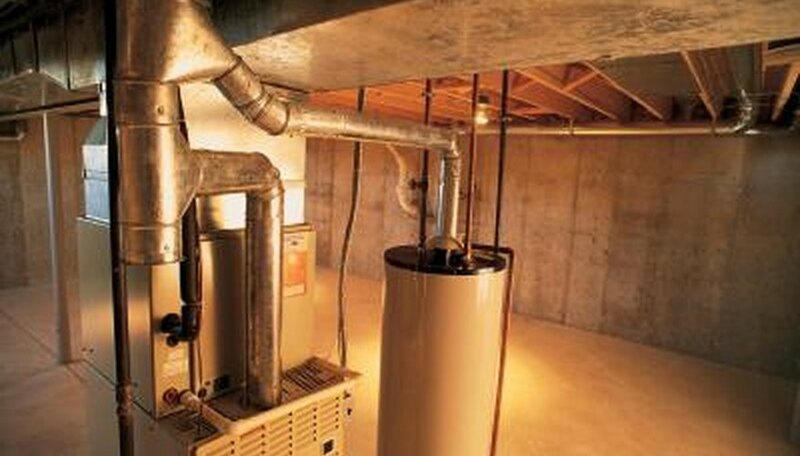 Install the furnace, hot water heater, and washer and dryer in a separate closed off area well away from the prime “living” areas in the basement. Consider upgrading to smaller equipment like on-demand hot water heaters, compact furnaces, and stackable laundry appliances. Provide for a generous entryway to the basement with a staircase that is 36 to 48 inches wide. This will also make it easier to install furniture into the finished rooms. If the staircase is one long straight run now, consider breaking that long flight of stairs into two sections with a landing and a turn. Avoid steps that are too narrow or too high: a staircase with 11-inch wide treads and 6-inch risers will be extremely comfortable to use by guests of all ages. Place a new staircase against a side wall in the basement, not in the center, to prevent "cut up" rooms. 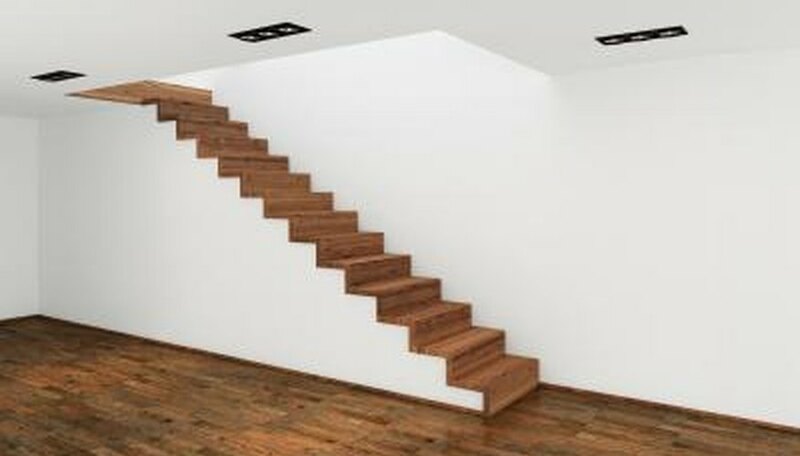 The staircase should "land" in the largest room in the basement; avoid staircases that terminate in a small anteroom or hallway. One large room, 12 to 14 feet in width, and 14 to 18 feet in length, is ideal for a main lounge room, pool table, or basement home theater. 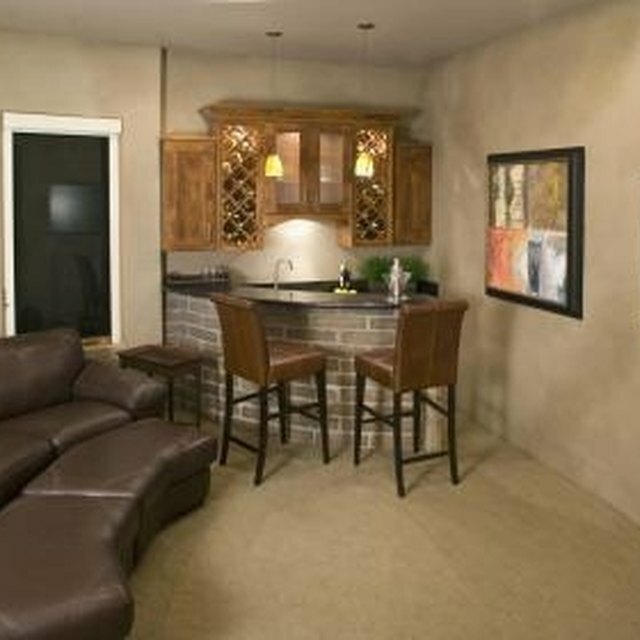 Smaller rooms will be very limiting in terms of activities and will tend to feel claustrophobic. 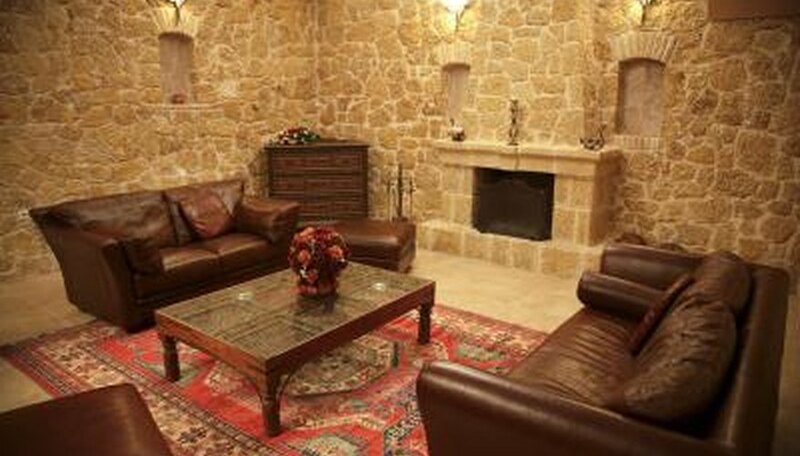 Too many cut up rooms in a basement remodeling project can often reduce or nullify any gains in home valuation. Most communities prohibit bedrooms in basements unless there is a suitable escape door or window available opposite the staircase. Check your local building codes. 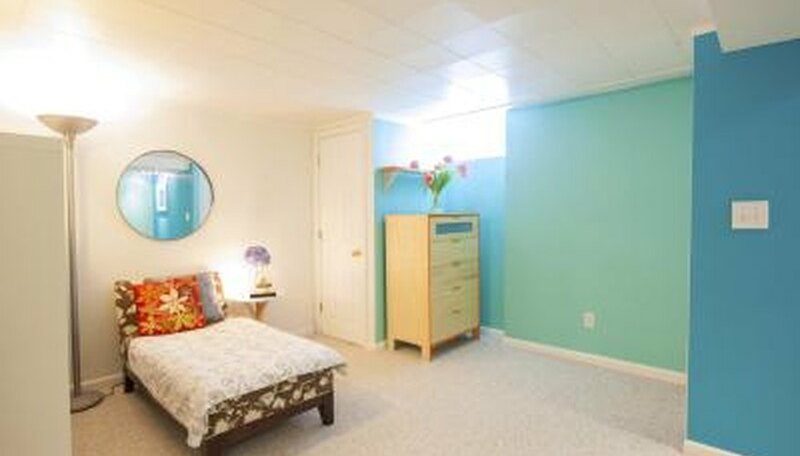 Install at least one egress window in a new basement bedroom space. Remember to provide adequate closet space for the bedroom. 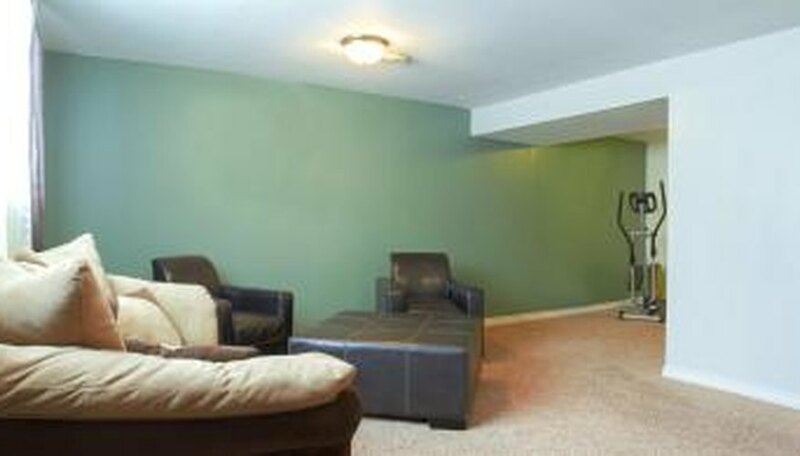 Provide at least a half-bath for any basement recreation space. If a bedroom is located in the basement, a bathroom with a shower will be necessary to protect the remodeling investment in terms of future resale values. Consult with a professional plumber about installing new drains and fixtures in existing basement drains. Situate the new bathroom facilities near the laundry areas to reduce plumbing work. Avoid having to pass through “private” rooms, like a bedroom or an office, in order to get to a “public” room like a pool room. Private rooms should be offshoots of the main public room. A bathroom must be accessible to all visitors. Passing through a utility space to get to a living space or a bathroom must be avoided at all costs. Can You Replace a Tub With a Walk in Shower & Still Retain the House Value?